DHR’s Account Director Sarah Harte was delighted to attend the launch of THINKTECH this morning at Google’s HQ. In today’s blog, Sarah tells us what it’s all about. It was an early start, but that didn’t stop the throngs of guests who filled up the seats in The Foundry at Google HQ on Barrow Street this morning. Today marked the launch of the THINKTECH challenge – the first of its kind in Ireland – which will work to identify innovative ideas that use technology to create positive social impact in Ireland. Social Innovation Fund Ireland is behind the project, supported by Google.org and the Department of Environment, Community and Local Government. 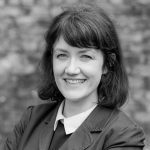 The Fund aims to foster the development of social innovations with a potential for transformative impact on critical social issues facing Ireland. Minister Simon Coveney TD was on hand this morning to launch the €1 million project and it was clear that this was no ribbon-cutting exercise. The Minister spoke passionately about his and the Department’s support and commitment to the project. Jacqueline Fuller, the head of Google.org and formerly of the Bill & Melinda Gates Foundation, travelled from the US to launch the project and speak on Google’s involvement and belief that technology has the power to transform lives for the better. Social enterprises, charities, and other not-for-profits are eligible to get involved and apply. What’s critical is that participants demonstrate how they will use technology and innovation to make Ireland a better place. 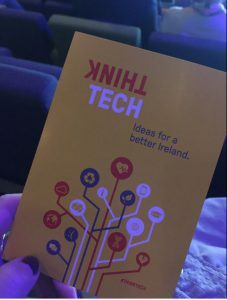 Those THINKTECH participants who are successful will have access to an award fund of up to €750,000, consisting of €600,000 in grants and up to €150,000 worth of support and mentoring, plus a Google support package. They will enter a five month programme (from January to May 2017) and will receive both financial and non-financial support to make their vision a reality. THINKTECH is open for applications until Sunday July 31st 2016. For more information on the project, including eligibility criteria and FAQs, visit http://www.socialinnovation.ie/what-is-thinktech/.